Together with the Development Partner, hub South West Scotland Ltd, Largs Campus amalgamates St Mary’s Primary, Brisbane Primary, Kelburn Primary and Largs Academy, accommodating more than 2000 pupils. 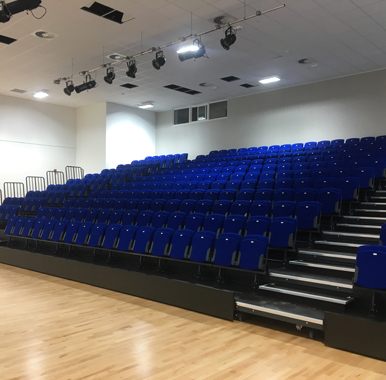 The new state of the art campus consists of two theatres for both primary and secondary and one of the largest gym halls in the UK. The 3rd floor art classrooms have balconies with stunning views of Cumbrae, Bute and Arran enabling the provision for outdoor working. RMP were commissioned to provide design advice and compliance testing for the new campus and worked closely with the project team to ensure that Largs Campus successfully met the requirements of BB93.